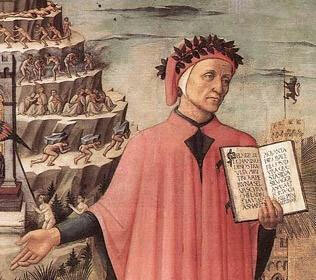 ON the occasion of the solemn celebration of the 750th anniversary of the birth of the supreme poet Dante Alighieri, being held at the Senate of the Republic of Italy, I wish to address my cordial and friendly greeting to you and to those who will be participating in commemorating Dante. In particular I greet the President of the Republic of Italy, Sergio Mattarella, the President of the Senate, Pietro Grasso, to whom go warm congratulations for this important initiative, and Minister Dario Franceschini. I extend a greeting to all the authorities present, to the Dante Alighieri Society, to the scholars of Dante, to the artists and to those whose presence honours one of the most illustrious figures not only for Italians but for all of humanity. With this message, I would like to add my voice to those who consider Dante Alighieri an artist of the greatest universal esteem, who through his immortal works still has much to say and offer to those who desire to travel the way to true knowledge, to the authentic discovery of self, of the world, of life’s profound and transcendent meaning. Many of my Predecessors solemnly commemorated anniversaries regarding Dante with documents of great importance, in which the figure of Dante Alighieri was proposed anew of his relevance and because of his greatness, not only artistically but also theologically and culturally. Benedict XV dedicated the Encyclical In praeclara summorum, dated 30 April 1921, to the Supreme Poet on the sixth centenary of his death. With this document, the Pope intended to affirm and highlight “the intimate union of Dante with this Chair of Peter”. 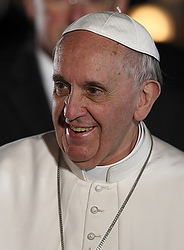 Admiring “the greatness and keenness of his genius”, the Pontiff asked that “the measure in which he drew inspiration from the Divine Faith” be recognized and to consider the importance of a correct and non-reductive reading of the Dante’s work, especially in schools and universities. Later Blessed Paul VI, who had the figure and work of Dante particularly at heart, dedicated the very beautiful Apostolic LetterAltissimi cantus, at the conclusion of the Second Vatican Ecumenical Council — exactly 50 years ago — to him. He pointed out the fundamental features, which are always present in Dante’s works, with great sensibility and depth. Paul VI with strength and intensity affirmed that “Dante is ours! Ours, meaning of the Catholic faith” (n. 9). So much so that at the end of the Dante’s work, Paul VI clearly stated that “The aim of the Comedy is primarily practical and transformative. It does not only seek to be beautiful and morally good poetry but effectively able to change man radically leading him from chaos to wisdom, from sin to holiness, from poverty to happiness, from contemplating the horrors of hell to the beatitude of paradise” (n. 17). He then quoted the important passage from the Poet’s letter to Can Grande della Scala: “the purpose of the whole as well as of the part is to bring those living in this life from the state of misery, to lead them to the state of bliss” (n. 17). St John Paul II and Benedict XVI also often referred to works by the Supreme Poet and often quoted him. In my first Encyclical,Lumen Fidei, I also chose to draw on the immense heritage of images, symbols, values constructed by Dante’s work. To describe the light of faith, a light to be rediscovered and to be found once again so that it may illuminate all of human existence, I used the Poet’s evocative words who described it as “spark, which then becomes a burning flame and like a heavenly star within me glimmers” (n. 4; cf. Paradiso XXIV, 145-147). On the Vigil of the Extraordinary Jubilee of Mercy, which will open on 8 December 50 years after the conclusion of the Second Vatican Council, I sincerely hope that the celebration of the 750th anniversary of Dante’s birth, like that of the seventh centenary of his death in 2021, may make the figure of Alighieri and his work understood and appreciated again, to accompany us on our personal and community journey. In fact the Comedy can be read as a great itinerary, rather as a true pilgrimage, both personal and interior, as well as communal, ecclesial, social and historic. It represents the paradigm of every authentic voyage in which humanity is called to leave behind what Dante calls “the little patch of earth that makes us here so fierce” (Par. XXII, 151) in order to reach a new condition, marked by harmony, peace and happiness. This is the horizon of all authentic humanism. Dante is therefore a prophet of hope, a herald of humanity’s possible redemption and liberation, of profound change in every man and woman, of all of humanity. He invites us to regain the lost and obscured meaning of our human journey and to hope to see again the bright horizon which shines in the full dignity of the human person. Honouring Dante Alighieri, as Paul VI previously invited us to do, we can be enriched by his experience to pass through the many dark woods still widespread in our land and to complete happily our pilgrimage through history in order to arrive at the goal dreamt of and yearned for by every man and woman: “the Love that moves the sun and all the other stars” (Par. XXXIII, 145).